The MS269xA Series Signal Analyzers support a standard analysis bandwidth of 31.25 MHz that can be extended to 62.5 MHz /125 MHz with optional hardware. Using a patented calibration process, the multipoint amplitude calibration and the phase calibration result in a level accuracy of ±0.5 dB across a 6 GHz span. No other analyzer on the market can meet that specification! These boxes are superlative in every way -- they measure the widest signals and using the latest technology, make measurements faster than ever before. The modular architecture ensures a box that grows as measurement requirements change. 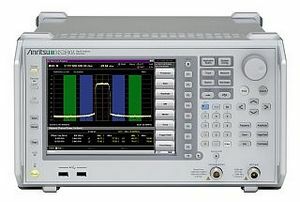 Learn more about "New Anritsu MS2690 Family Signal Analyzers: 26.5 GHz 3-in-1 solution"